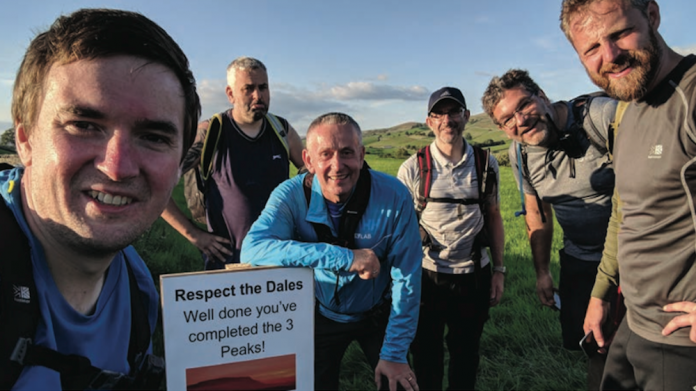 Six members OF the NRM Group led by managing director Andrew Ludlow have successfully negotiated the 24-mile long Yorkshire Three Peaks challenge raising close to £7,000 for CHIPS, the gaming industry charity which funds the purchase of powered wheelchairs for children with profound mobility issues. The money, which was generated courtesy of pledges made by NRM customers, suppliers and industry colleagues, exceeded the original target and sets the company on its way to complete the purchase of two CHIPS chairs by the end of 2018. Reflecting on the achievement, Andrew Ludlow said: “The challenge was just that! I don’t think those of us that hadn’t done it before quite knew what to expect. Whilst the distance itself was a challenge, the three climbs (and therefore descents!) became harder and harder as we tackled the next peak. What absolutely carried us along was the immense support we have received from many generous individuals and businesses supporting the incredible CHIP’s charity and that ‘whatever it takes’ mind-set we have as a business.